CANNES, France - While in Cannes on Tuesday, Robert Pattinson confirmed that there will be a fourth “Twilight” film based on the Stephenie Meyer novel, “Breaking Dawn,” according to The Hollywood Reporter. Pattinson said he is committed to starring in the final outing to date, but doesn’t know when backers Summit Entertainment will begin production because of the actor’s jam-packed shooting schedule. 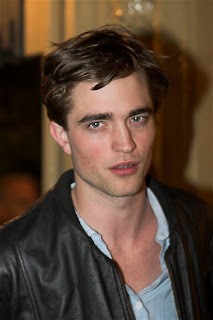 Pattinson, who turned 23 last week, will be shooting his final days of “New Moon” in Italy on Friday. The screen adaptation of “New Moon” will also extend Pattinson’s role. His char acter, Edward Cullen, was absent for most of the novel and only appeared as a voice in Bella Swan’s head. “You’re playing a figment in Bella’s imagination so I was trying to do it in a 2-D way. I hope it doesn’t translate onscreen as being boring,” Pattinson said. The vampire franchise has catapulted Pattinson’s career – and it isn’t slowing down anytime soon. Pattinson will take a few days off after finishing “New Moon” before starting the filming of “Remember Me,” a drama about two lovers. After the eight-week shoot for “Remember Me,” he will take three days off before finishing the third “Twilight” movie, “Eclipse,” in October. Bring back the Anne Rice novels!